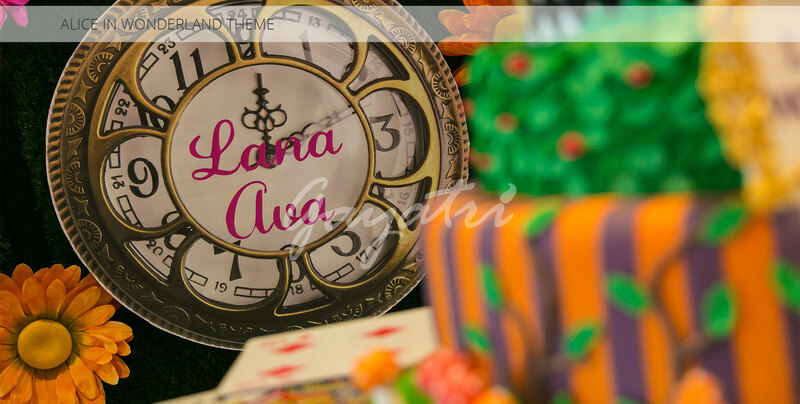 For a memorable and unique birthday celebration, there really is no better choice for children than our bespoke Alice in Wonderland theme – aiming to capture the colours, themes and characters from the books and from the classic Disney cartoon that continues to amaze and entertain kids to this very day. 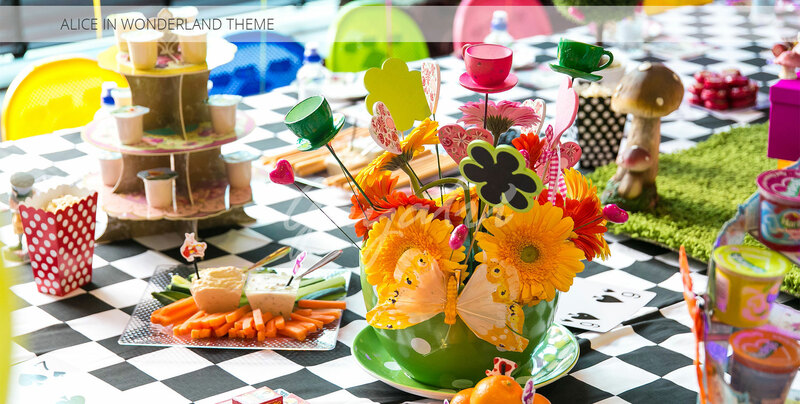 Using a variety of colourful decoration and imaginative displays for food, drink and tables alike, this theme aims to capture the delightful madness that Alice in Wonderland revelled in, and that generations of children have been enraptured by across the year. 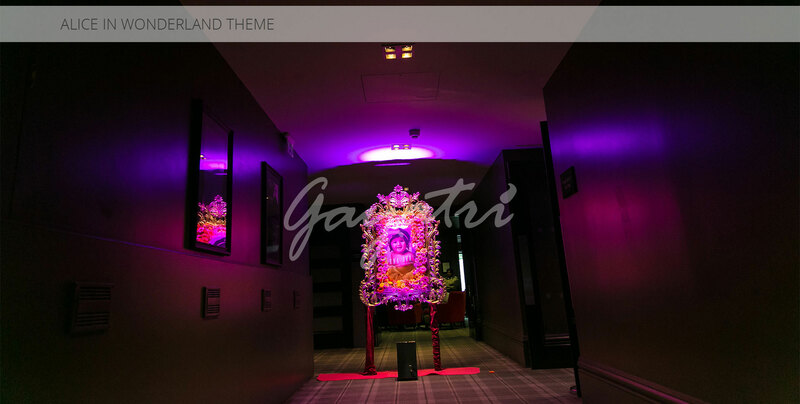 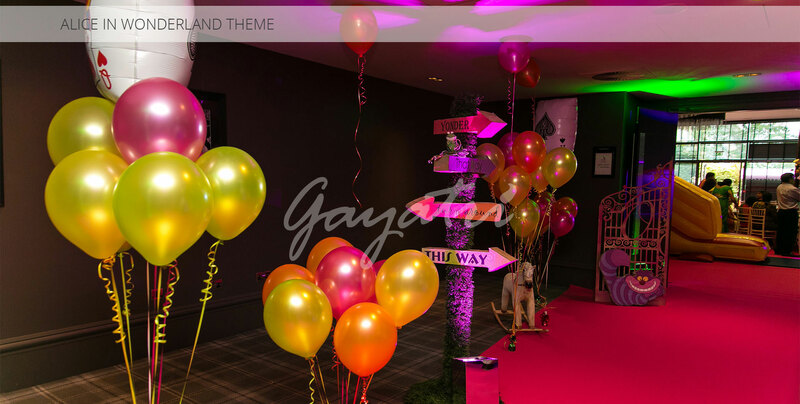 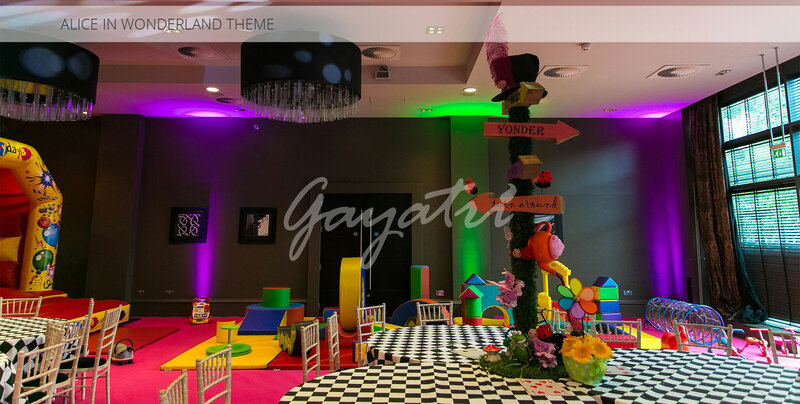 This theme is built with kids in mind, with a focus on a fun and exciting style that will capture children’s imagination and attention throughout the event – making for a memorable and enjoyable party for all involved. 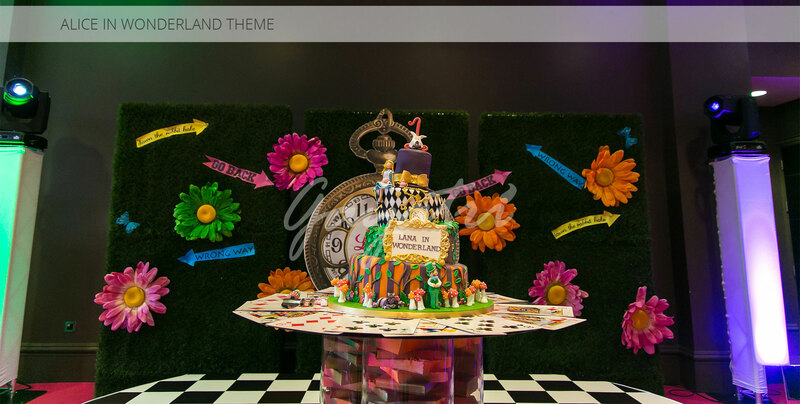 Offering a unique twist on children’s parties, the Alice in Wonderland theme is just one of our bespoke decoration packages that you can bring to life to help celebrate with even the youngest in your family – making the vivid and exciting displays a worthwhile choice if you are looking to create a birthday celebration to remember for years to come. 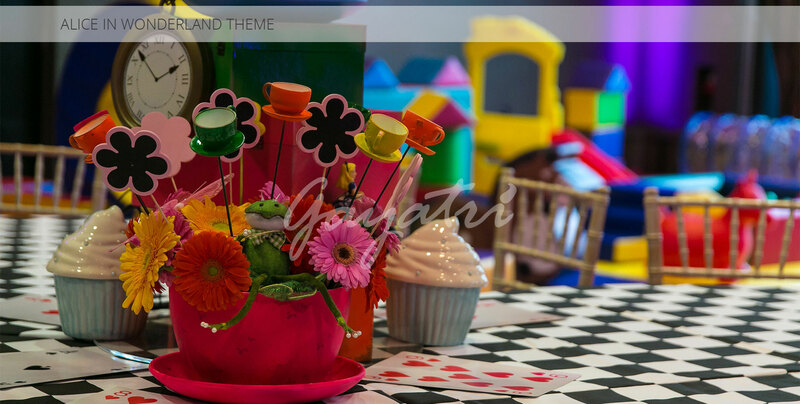 Even the youngest of children will love the world of wackiness that the Alice in Wonderland theme can provide.